Using sophisticated fabrication techniques, we can manufacture valves to fit any other manufacturer's footprint. Rather than just replacing the valve like-for-like, we add wear resistance using hard materials to dramatically increase longevity. In real-life, customer tested applications, swapping to an MID unit increased longevity by a factor of 3 compared to a tungsten carbide lined rotary valve. 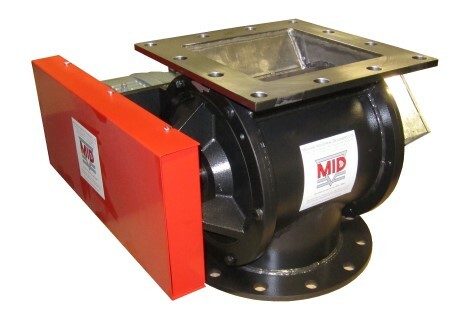 Maintenance was also eliminated as standard fitting for abrasion resistant valves are mechanical shaft seals that require no maintenance, no adjusting and don't even need air purge fitting.